The Chico strain pictured here as US-05 is one of the most commonly utilized yeast strains in American-style ales. While great in itself, there are many other complimentary strains for use in American ales. The Chico ale strain (Wyeast 1056 American Ale, WLP001 California Ale, Safale US-05, Danstar BRY-97 West Coast, etc…) is the prototypical American ale yeast strain. Known for its clean, neutral fermentation profile and relatively high degree of attenuation, the Chico Ale strain is a great (and arguably most common) ale strain choice for clean American style ales like APA, Ambers and of course the wide range of IPAs. That being said, there are many alternative yeast strains with similar fermentation characteristics to the Chico ale strain, yet feature subtle differences that may better suit your brewing habits, recipe goals, and/or overall beer character. Thus, in this small batch brewing post, I list frequently reported alternatives to the Chico ale strain for reference in your small batch brewing. Cheers and happy brewing! (1) This list does not detail every possible alternative yeast strain for use in American style ales, just presents many useful examples. Moreover, the expert homebrewer will also note that wort/fermentation conditions (mash/fermentation temperature, pitch rate, etc.) equally play critical roles in producing beers with neutral ester profile and high attenuation. Often, brewers are able to tailor the fermentation characteristics of a particular yeast strain to better suit American style ales (for example, see Wyeast 1469 in BTV episode 59). Thus, treat this list as a good starting point when comparing/selecting yeast strains, assuming the comparison is under typical ale fermentation conditions. (2) The geographically and culturally inclined among you will notice that many of these yeast strains contain names like “Scottish” and “Kölsch,” which lack immediate American association. This is due to the fact that many of these yeast strains originate outside relevant American borders, and instead herald from the UK, Germany, etc.. While these strains do not possess true American origins (as with most things in the US), their key strengths are their ability to produce and enforce the key elements of American ale styles, namely well-attenuative, fairly neutral/clean in fermentation profile, and/or forward/enhanced hop character. Thus, the list of yeast strains provided below yield most (if not all) of these important American ale characteristics. (3) The [*] symbol which is seen several times throughout the listed info below refers to data originating from standard wort samples via Wyeast, White Labs, and/or GigaYeast (with their respective web links provided at the end of this post). So, in general, use this info with a grain of salt; your “mileage may vary” is the apt analogy. Now back to the regularly scheduled blog post! Origin: Likely from Anchor’s Liberty Ale. Ester character: Neutral/clean. Brewers report slightly nutty, light citrus ester character when fermented warmer. Comparison to Chico strain: Slightly more malt focused, estery, and flocculant. Slightly less attenuative. Possible benefits: Potentially more flocculant than the Chico strain, so it may have better use for those who don’t filter at packaging (arguably most apartment and small space brewers) or use finings yet still expect clear beer post fermentation. Also, a more malt-focused strain better for American Blonde/Amber/Brown styles without being cloying. My two cents: I’ve used this strain a few times with great results. Rye pale ales and IPAs, session blondes, & strong ales, all of which came out nice. Neutral, clean, crisp, well suited for American-style ales. The enhanced flocculance is a plus. Ester character: Low to moderate fruitiness (depending on fermentation conditions). Comparison to Chico strain: More flocculant, but often less neutral in fermentation character. Equivalent in attenuation. Possible benefits: Just as attenuative, but with great flocculance, achieving clearer beer at packaging without filtration or finings. Ester character is lightly fruity such that it pairs well with American hop varieties. Also, a well known quick starter. My two cents: I’ve used this strain a few times with great success in cleaner English styles like Blondes, English Bitters, & English IPA. Also, many brewers report this strain as great in American IPA/Double IPA styles with many preferring it to the Chico strain (see this Mad Fermentation Post, this reddit thread, etc.). A must try for the hop bomb lover but also great in blonde ale. Origin: Likely from Sam Adams. Comparison to Chico strain: Slightly less attenuative. About the same in flocculance and ester profile. Possible benefits: Great alternative for a clean fermentation profile while leaving behind residual sugars enhanced malt character and body. My two cents: Personally, I have not used this strain before; it’s also difficult to find other brewers experiences with this strain as well. Overall, it’s definitely on the esoteric side of things within the homebrewing community. However, judging from the many dozens of Sam Adams ales I have enjoyed over the years, this strain has the potential to be useful in more malt-focused American ales like amber ale, wheat, and blonde ales while maintaining a neutral ester profile. Maybe I’ll try this one soon. Ester character: Neutral, slightly fruity at warmer temperatures. Comparison to Chico strain: Comparable to slightly less attenuative. Greater flocculation. Equivalently neutral in ester character. Possible benefits: Potentially more flocculant than the Chico strain, so it may have better use for those who don’t filter at packaging. Also, a more malt-focused strain better for American Blonde/Amber/Brown styles without being cloying. My two cents: Recently reported in this update post linked here, Wyeast 1728 is quickly becoming my house yeast strain due to its great degree of versatility. Not only is it capable of producing clean American style ales but also pseudo lagers/hybrid styles as well as traditional Scottish and Irish styles, largely due to its ability to ferment well over a wide range of temperatures (55-72F), an uncharacteristic feature for many ale strains. Thus, if you plan cycling through a few brews with one yeast strain, consider a Scottish yeast as a one stop brute doing well from basic blondes and hoppy IPAs to ambers, stouts, and porters. Ester character: Low to moderate fruity esters on the stone fruit, citrus spectrum. Comparison to Chico strain: Similar in flocculation and attenuation. Slightly more fruity in ester profile. Possible benefits & my two cents: Like the “Patriot” strain, I haven’t had the pleasure of using this strain (or enjoyed samples of Heady Topper IPA for that matter). Unsurprisingly, many brewers and craft beer lovers really like the results from this strain, often used with the goal of cloning this brew, and thus worth trying in your homebrew. Better yet, I differ any more opinion/judgment to the Ray Found via Brülosophy blog [linked here] and Michael Tonsmeire of the Mad Fermentationist blog [linked here] on their brewing experiences with the “Conan” strain. Origin: Long story short [long story linked here] this strain famously originates from the former yeast manufacture BrewTek, popularly known as CL-50, and was more recently revived by Denny Conn with the help of Wyeast Labs. Comparison to Chico strain: Equivalent in ester profile, attenuation and flocculation. Possible benefits: Many brewers report this strain as more malt expressive with smoother mouthfeel than the Chico ale strain while maintaining similar fermentation characteristics. My two cents: I’ve used this strain a few times before with solid results. While my current house strain is of the “Scottish” type, this could also make for a great house strain, working in just about anything American styled. Also, for those who are familiar with Denny’s wide body of work (Experimental Homebrewing Blog, Book, and Podcast just to name a few), this strain is a must in his famous Denny’s Wry Smile Rye IPA and Bourbon Vanilla Imperial Porter recipes. Ester character: Neutral, very clean, almost lager like at cooler ale fermentation temperatures (~below 64F). Slight apple, pear, floral characteristics when fermented at warmer temperatures. Comparison to Chico strain: Less (sometimes very less) flocculant. Similar attenuation. Ester profile comparably clean, but different. Possible benefits: While sharing many of the same fermentation stats, brewers report this yeast strain as potentially more hop expressive in flavor/aroma (see this BBR podcast as an example) than the Chico strain, making it a great alternative for hop bomb IPAs. However, recent analysis by White Labs suggests their Kölsch strain is less IBU expressive (B&WJ article linked here). Thus, when developing a recipe, consider adding more bittering hops to compensate for any potential losses. My two cents: While I’ve never attempted the use of a Kölsch yeast strain in an American ale (having only used it in an Altbier and Kölsch previously), I can report that that the Wyeast version (WY2565) has frustrating low flocculance, taking over a month to flocculate out naturally in keg (typically my timescale is less than 2 weeks). So the next time you brew a Kölsch yeast strain, consider using finings and/or filtration for clear beer or just be patient (and cold conditioning) to flocculate when utilizing passive methods. [**] quick note: while the recommended yeast throughout this post are essential identical strains (just manufactured by different yeast labs), in this particular case, these are separate Kölsch strains yielding very different character in the final brew. See this linked Brülosophy post for a detailed side-by-side comparison. Cheers! What yeast strain do you like to use in American-style ales? Did it make the list? Leave your experiences/suggestions in the comment section below. As always, cheers and happy brewing! Liked this post? Check out my guide to small batch pitch rates! I’ve used WY1450 and found it to be rather spicy with some interestingly different characteristics compared to Chico. Also, my understanding is that WLP029 and WY2565 are sourced from different places and produce different qualities… we even did an xBmt comparing them! Wow; thanks for the feedback (as always)! 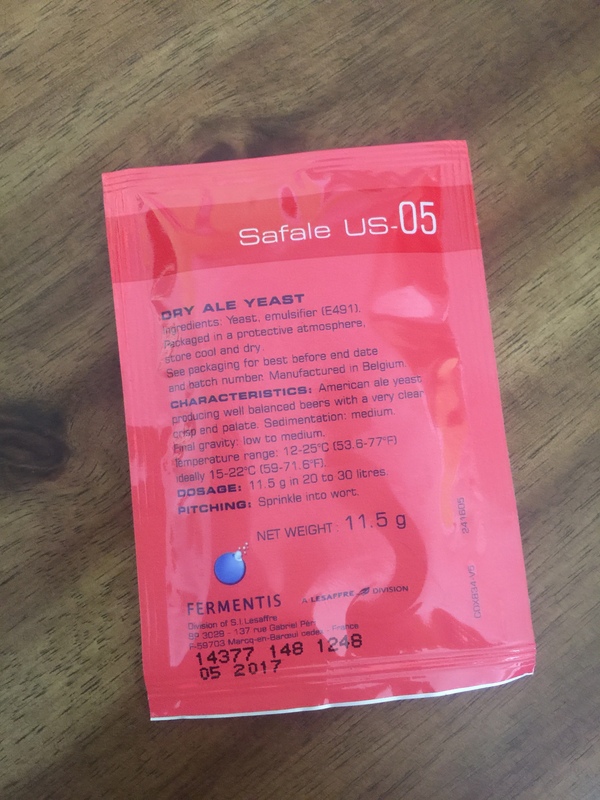 This is what I was hoping to generate with this post: useful/experiential advise for homebrewers looking to experiment with new clean yeast strains. These notes make for a great addendum; I updated the post accordingly. Cheers! You forgot to include one major strain a lot of brewers are using nowadays to make soft, juicy, hazy hop bombs that are sometimes called “Northeast” IPA’s: Wyeast 1318 London Ale III. I’ve used it with great success in a Citra/CTZ IPA, just don’t expect brilliant clarity if you use it. Right; I’ve added it to the list. Having feedback from Twitter and here, looks like I’ll have either an update and/or part 2 added to this post. Thanks for the suggestion. Cheers! Interesting. I don’t believe added Mangrove Jack yeast on this post (partly because I have never used their yeast before), but I’ll look into it. Thanks!